This former Mystery shows the beauty of the Caribbean landscapes, be they under or over water.Surrounded by tropical flora and fauna in bright and wonderful colors…. 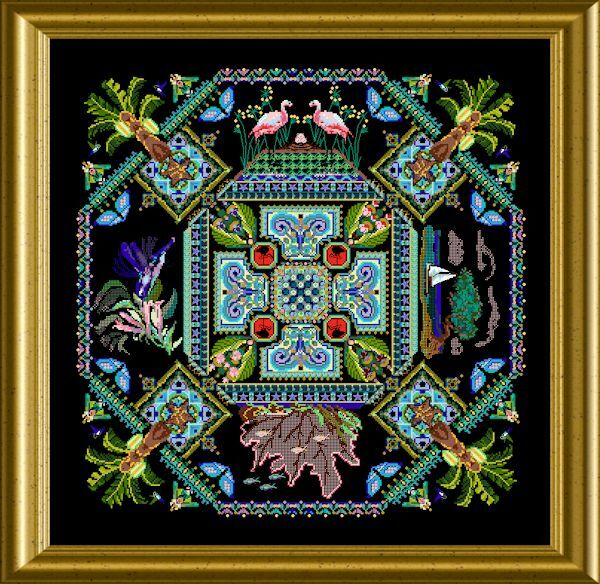 Examples to stitch are richly colored flowers, under-sea organisms like corals, Flamingoes in their salt water ponds and Hummingbirds drinking nectar from tropical flowers. You will use a variation of differently colored silks and cottons, metallics, braids, beads and crystals. 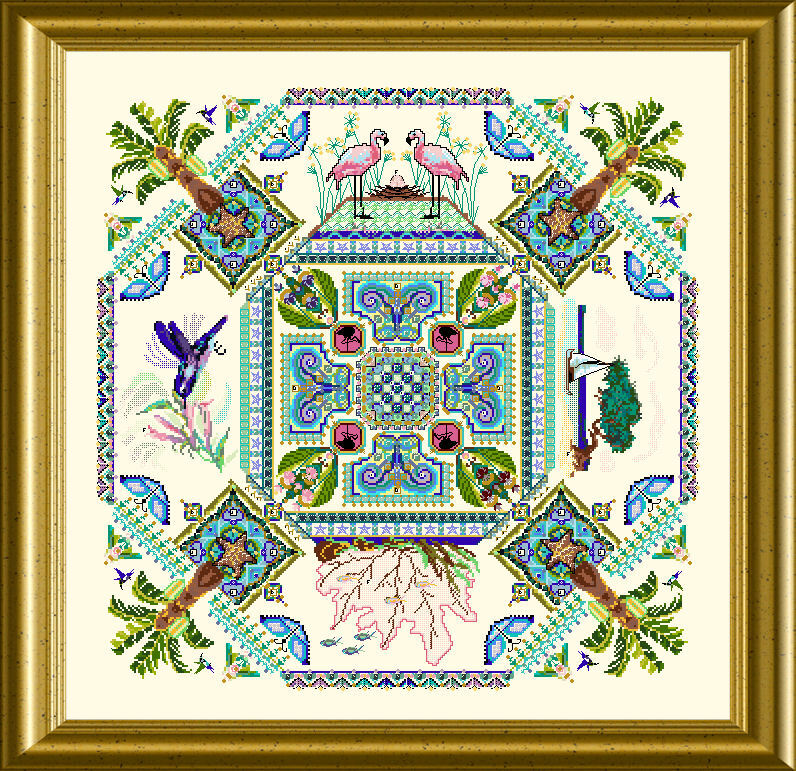 The mere design size is 300 x 300 stitches. I really LOVE this piece of artwork! Unfortunately, I do not know how to stitch. Do you sell this already made to purchase? And if so, how much would you charge? Please let me know at your leisure. 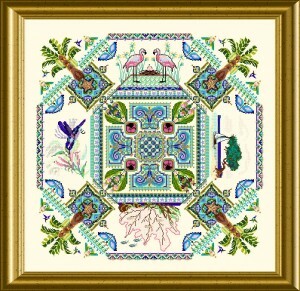 Hi Missie, sorry – but I do not sell “ready made” embroideries – only designs and patterns to do it yourself. I NEED A PAPER PATTERN…NOT A DOWNLOAD. THE DOWNLOAD IS ABSOLUTLEY TINY ANS UREADABE. CAN A FULL PAPER PATTERN BE SENT TO ME? I WILL PAY POSTAGR. Hi Denise, the PDF pattern is meant to be printed out ENLARGED, to your own requirements. In my Facebook Support Group you will find a help file. PDF graphics comes in handy.